And yet, here I am: gay, Chinese and twentysomething. Structured episodically, the story unfolds as a memory play guided by grandparents Kath (Darien Takle) and Maurice (Peter Hayden) in a neatly chronological order. Playwright Roger Hall emphasises observational comedy rather than dramatic conflict, from the news of their children’s marriages to their first babysitting request to final goodbyes. While these observations are relatable or recognisable, they risk becoming banal and predictable over the course of the two-hour evening. 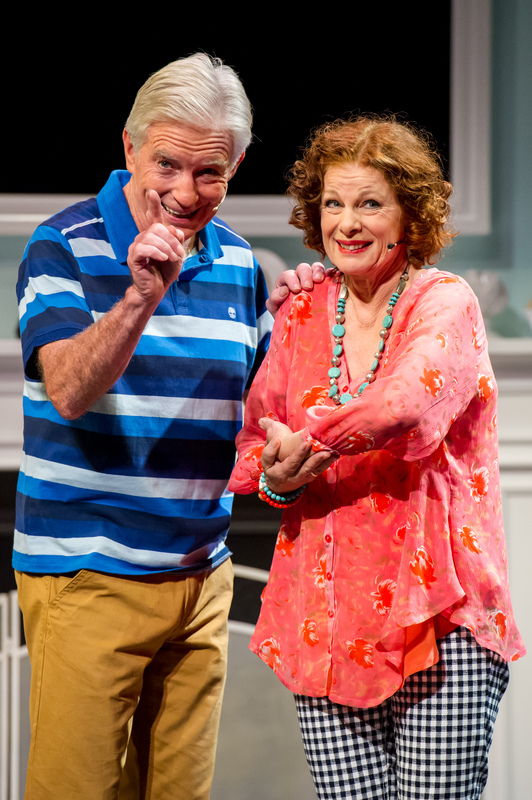 The most understated but affecting moment in the play comes after intermission when we discover that the aging couple are no longer in their own home, but in a retirement village. It’s an unexpected but affecting shift in time that reveals the Chekhovian potential within the script. Elevating the everyday circumstances from sitcom to something more magical is the musical score written and composed by Peter Skellern. While it’s no broadway musical, it’d be fair to say Skellern’s contribution here is as significant as Hall’s. Takle and Hayden are nice enough singers, though the songs are never heavily demanding, focussing more on the humour or sentiment of the lyrics. Accompanying them is musical director and pianist Jason Te Mete whose presence adds an extra dynamic to the production, acknowledged but never distracting. Though the characters of the worrying grandma and grumpy grandpa are archetypal, there are moments when their characterisation risks crossing over into crudely stereotypical behaviour. This is most notable with Maurice’s casual sexism which is treated merely as a joke. Despite this, Takle and Hayden have good chemistry, effortlessly shifting from playful banter to familiar comfort with each other. While I can’t relate to their characters, I find their presences enjoyable to watch. The dynamic could be best described as cosy. The set design by Rachel Walker and av design by Simon Barker are the most interesting aspects of the production design. Home furniture is placed in the foreground and a background wall is filled with traditional and digital photo frames. They do their jobs well, functioning as a modern 21st century home while also allowing for visual references to offstage characters. The setting, intentional or not, is both sterile and comfy at the same time, hinting at something darker beneath the surface, especially during the second half. Director Janice Finn has put together a production that doesn’t demand much from its audience. This is, first and foremost, light entertainment. That’s not to say there isn’t any emotional resonance in the script. Far from it. There are profoundly universal ideas peppered throughout the script: the way we treat our elders; the generational gap between grandparents, their children, and their grandchildren; and the inevitability of old age. Most of the time the show is more concerned with making the audience feel comfortable though, and these issues are only gently touched upon. 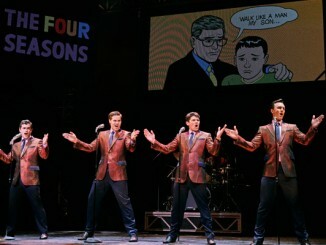 The final scene of the play, which almost feels like a deus ex machina, exemplifies the tone of the show best, where sorrow is undercut by joyous celebration. As a figure in New Zealand theatre, Roger Hall’s name is well known to those who haven’t even seen or read his work. It’s a shame that on his 40th anniversary as a playwright, You Can Always Hand Them Back doesn’t do him the justice he deserves. It’s a pleasant enough experience, but it never rises above that, and ultimately feels like a safe and minor work. 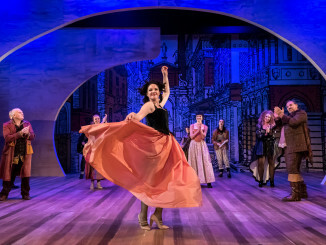 Rather than reflecting or questioning the way we are, Auckland Theatre Company have projected an idealised and comforting version of the audience onto the stage. The programme for the show contains a quote, in bold, stating that “Roger’s work is perfectly suited to the audience ATC aims to connect with”. If you think that’s you, go and you’ll probably have a good time. But if you’re anything like me it will probably leave you with an unfortunate feeling of indifference. This is a show that is exactly what it sounds like, delivering to the audience’s expectations. No more, no less. 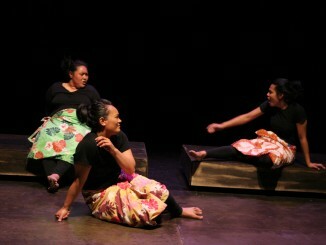 You Can Always Hand Them Back is presented by Auckland Theatre Company and plays at Skycity Theatre until 16 April. Details see ATC.